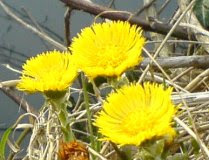 Luckily, the flowers can be found on Colts foot even in early spring. You can use the young shoots and leaves to make a tasty addition to any salad or stew. It's normally only found on the edge of rivers and streams. It's quite a bit easier to find in the warmer months. 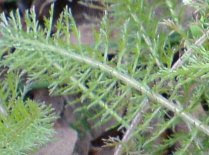 Yarrow is often quite difficult to spot and it doesn't always have the little white flowers. You should look out for the feather type leaves. 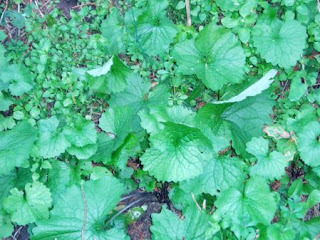 It can be used for fighting off colds and helping blood to clot which is useful for small cuts etc. This like all plants is best identified by the leaf rather than the flower. This makes things significantly easier at the time of year when the flowers aren't really out yet. It grows in roadsides, hedge rows and on banks and can be very easily distinguished by it's smell when crushed in the hand.. 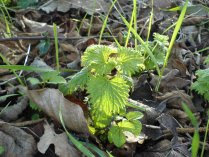 Although you can find nettles the whole year through, they don't always taste the same. Spring is best when the young shoots come through as they offer a slightly sweeter taste than the older bitter ones.